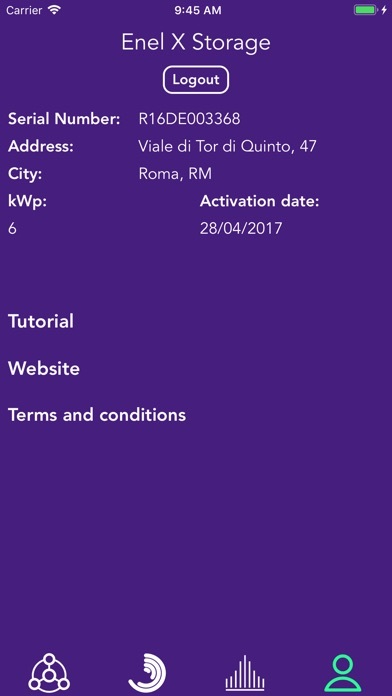 Enel X Storage allows you to control your Enel X Storage system, anytime and anywhere. 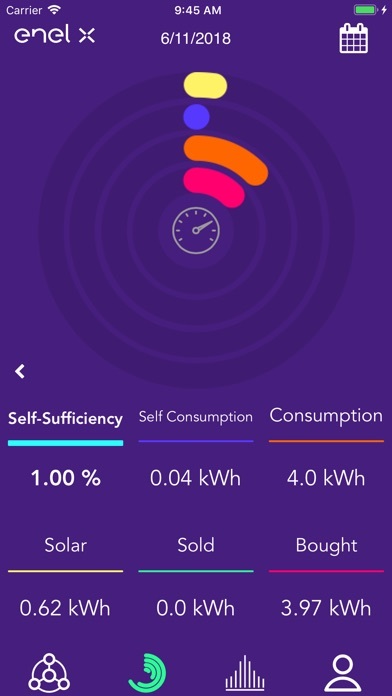 You will be able to monitor the energy generated by the solar panels and by your Enel X Storage, reducing the dependence of your home from the conventional power grid. 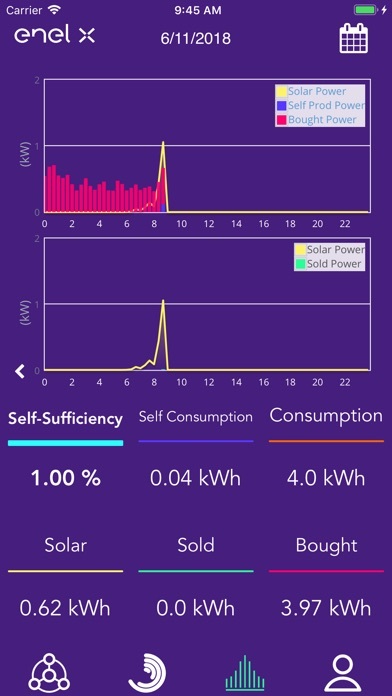 Measure the production and consumption of electricity, have a real-time overview of the general system - Self-consumption, Solar production, State of Charge/Discharge of Enel X Storage, Grid Feed-in and Energy Consumption. 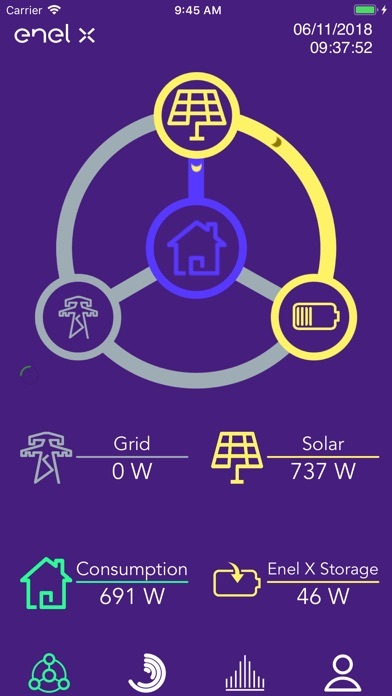 Visualize graphs with your energy production and consumption data on a daily, monthly or yearly basis, to get a complete view of your home's energy ecosystem.